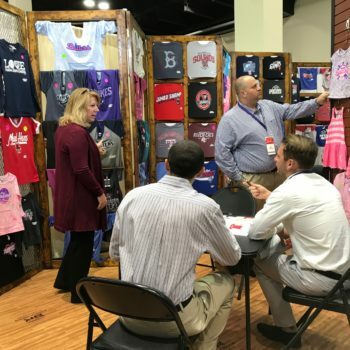 At Bimm Ridder Sportswear, we try to strive each day to provide superior customer service. 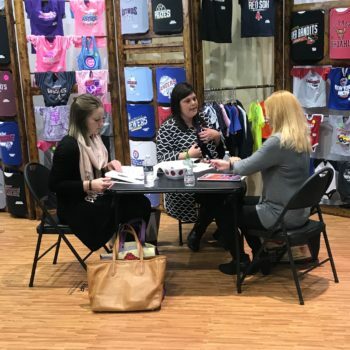 From the point of sale through the life of our product, how we interact with our customers at every encounter becomes a key differentiator when building our brand. We believe customer service isn’t just a department in our company; it’s a mentality. How Does Bimm Ridder Create a Customer Service Mentality? Don’t wait until we are forced to act. If we see potential customer service issues start to rise, it’s important to have an efficient process in place to address them. Focusing on being aware of potential problems before they get out of hand can make all the difference. For our customers, dealing with a service issue is only made more frustrating when the associate they’re working with doesn’t show empathy. Regardless of the issue, it’s important to try to understand where our customers are coming from—feel their frustration in order to address it. Think about our own experiences with customer service. Though the old saying “the customer is always right” in reality may not always be 100% true, it’s still an effective guideline for providing great customer service. Playing the blame game won’t create customer loyalty. Even if a situation is out of our control, we can always take responsibility for providing a more positive experience for a customer going forward. A great way to conclude any encounter with a customer is to ask them for feedback. Find out how to better serve them in the future. And most importantly, ask if all their needs have been met. Treat every customer interaction as an opportunity to learn. 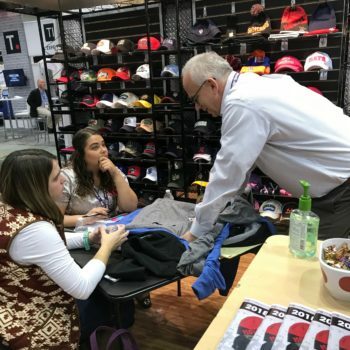 The Bimm Ridder mission is to work together to be the “UpFront” designer and manufacturer of valued apparel and headwear solutions to our customers and deliver an experience that excites them. The pace of modern life can be overwhelming and trying to sort out which messages are true, accurate and relevant can make doing business a challenge. At Bimm Ridder we don’t want our customers or colleagues to have to deal with that when working with us. That’s why we believe in being UpFront. Being honest and straightforward with employees, co-workers and customers. Providing leadership and support in interpersonal relationships throughout the marketplace. Instilling a sense of pride and ownership in all we do. We want our team and our customers to see value in our product, feel satisfaction, enjoy rewards and be proud of their association with Bimm Ridder. At Bimm Ridder we pledge our responsibility to support our community on a local, national and international level. Collectively as a company and individually as employees we strive to make a difference in the lives of people everywhere. American Cancer Society, Cedar Rapids Flood Recovery, Cedar Rapids Kernels Foundation, Cedar Rapids Public Library Foundation, Community Health Charities, Crossroads Mission, Junior Achievement, Juvenile Diabetes Research Foundation, Lance Armstrong Foundation, Lupus Foundation of America, National Multiple Sclerosis Society, Special Olympics, United Way, Variety Club – The Children’s Charity in Iowa.